Abstract : A simple approach to learning invariances in image classification consists in augmenting the training set with transformed versions of the original images. However, given a large set of possible transformations, selecting a compact subset is challenging. Indeed, all transformations are not equally informative and adding uninformative transformations increases training time with no gain in accuracy. 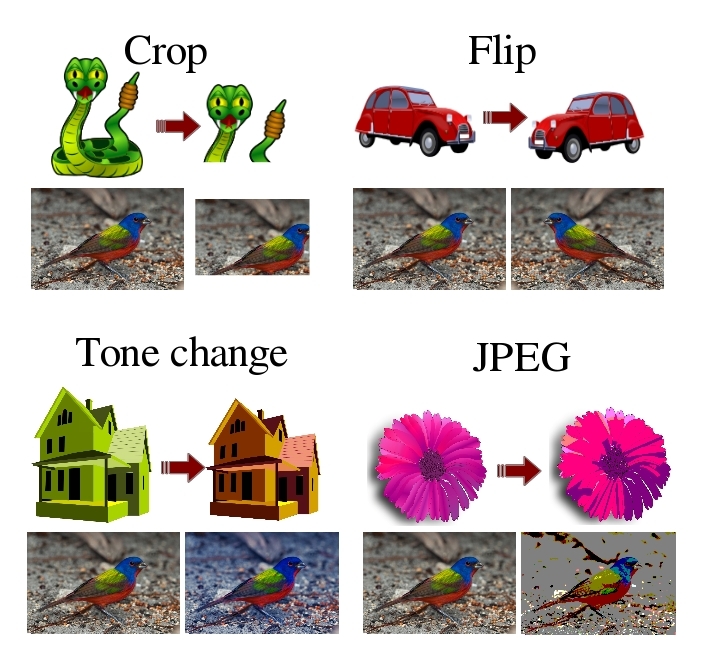 We propose a principled algorithm – Image Transformation Pursuit (ITP) – for the automatic selection of a compact set of transformations. ITP works in a greedy fashion, by selecting at each iteration the one that yields the highest accuracy gain. ITP also allows to efficiently explore complex transformations, that combine basic transformations. We report results on two public benchmarks: the CUB dataset of bird images and the ImageNet 2010 challenge. Using Fisher Vector representations, we achieve an improvement from 28.2% to 45.2% in top-1 accuracy on CUB, and an improvement from 70.1% to 74.9% in top-5 accuracy on ImageNet. We also show significant improvements for deep convnet features: from 47.3% to 55.4% on CUB and from 77.9% to 81.4% on ImageNet.